Today in Part 3 of our Swim Type series we take a look at the Kicktastic Swim Type. 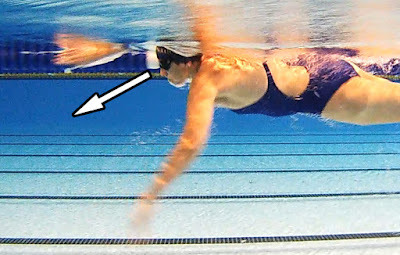 These guys and girls are famed for over-kicking but why do they do that and how should we go about improving their swimming? The Kicktastic is more often than not female and normally has a swimming background as a child, although they may have stopped swimming as an adolescent before taking it up again in adulthood. 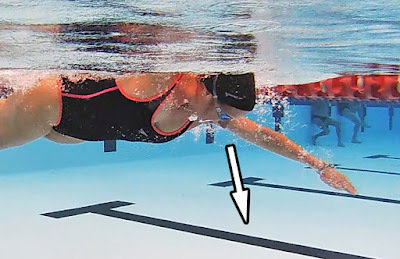 Competent swimmers normally in the speed range 1:35 to 1:55 /100m, Kicktastics feel they only have one pace when they swim and always dislike swimming with a pull-buoy. This can be very powerful over short distances but over longer distances in tends to settle down into a continuous rhythm. So regular is the kicking that you can often hear a kicktastic coming before you see them, with the continuous splish-splash-splosh rhythm of their kick! Kicktastics lack arm propulsion and try and make up for that by kicking harder. 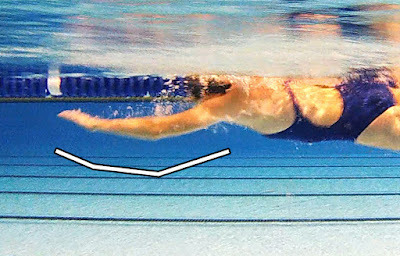 Although kick strength varies from swimmer to swimmer, the key thing to appreciate is that the kick is fundamentally driving the stroke along. Notice the lack of propulsion in the arm stroke and how the legs at the rear are constantly driving things along. It's probably obvious why Kicktastics dislike pull-buoys as stopping the leg kick removes their main source of propulsion. But why do our overkickers dislike a wetsuit? - Because they already have fantastic body position in the water, the wetsuit actually lifts them too high at the rear of the stroke so that they start to kick into thin air. Typical speed range: 6:30 to 8:00 for 400m. Stronger over longer distances but feels they can't sprint. Likes: Variety! Kicktastic can get bored easily so they enjoy mixed sessions with a mix of stimuli. Loves: Long races - they tend to make excellent Ironman triathletes, in fact many female pros are Kicktastic. Dislikes: Long sets (e.g. Red Mist sessions) as they find them boring. Hates: Too much attention from the coach! Learning Style: Normally very intelligent but Kicktastics can take a little while to absorb new information. Highly reflective. From the left field: Often earthy people - we've noticed they commonly have ankle bracelets or foot/lower leg tattoos! 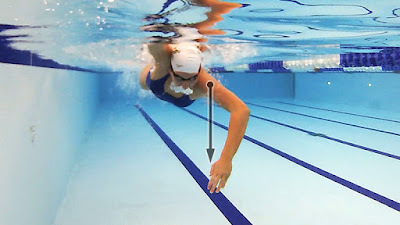 As we work with Kicktastics to improve their swimming, the goal is to create more arm propulsion by improving the biomechanics of the catch and pull-through using key drills and visualisations. 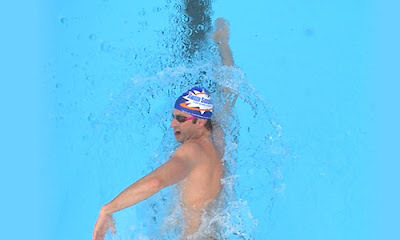 As arm propulsion is increased, the tendency to over-kick will automatically fall away. We're not looking to kill your kick, just moderate it so that it is less energy sapping. Kicktastics are always best served by staying with a continuous flutter 6-beat kick, a slower 2-beat kick simply does not suit them. In part 2 of our 6 part series we take a look at the Bambino Swim Type and the characteristics of their stroke. If you recognise yourself as a Bambino, use the profile to understand what's holding you back in the water and move forwards using some great Swim Smooth coaching! The Bambino is relatively new to swimming and finds freestyle a real struggle, especially at first. They lack confidence in the water and think of themselves as 'slow' or 'not very good' swimmers. 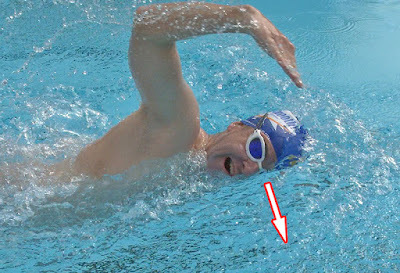 But like any swimmer with the right approach they can improve both their competence and speed in the water. Bambinos respond badly to traditional swim coaching which asks swimmers to slow down their turnover to try to lengthen out the stroke. In most cases they don't have the strength or build to do this and become slower as a result and lose even more confidence. 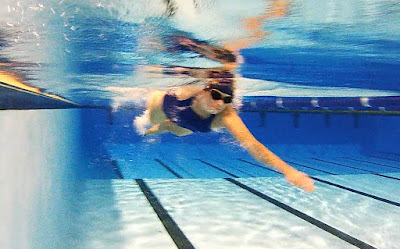 Perhaps counter-intuitively for someone without a swimming background, the key to improving a Bambino's swimming is to focus on the rhythm of the stroke and developing more 'oomph'. You might think swimming with a faster rhythm would be harder but as long as you don't go too crazy, increasing rhythm and purpose actually makes things easier for Bambinos, not harder. One of the best ways to achieve a higher stroke rate is to use a Tempo Trainer Pro in Stroke Rate mode. Try lifting your stroke rate by 3-5 strokes per minute (SPM), you will be amazed how much better it feels! This is the opposite approach we recommended for The Arnie last week, who we recommended dropping stroke rate by 3-5 SPM. This twisting action commonly leads to soreness in the muscles on the back of the neck. Typical speed range: 9:00 to 16:00 for 400m. May have to stop each length to catch their breath. Likes: The support of a friendly coach. 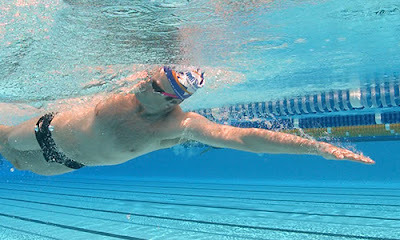 Loves: The achievement of improving their swimming - even small steps forward give them a major lift. Dislikes: Complicated drills or training sets. Hates: May be very afraid of swimming in open water. Learning Style: Bambinos like to know how something should be done and enjoy a bit of research away from the pool. 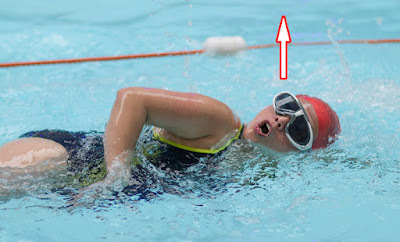 Bambinos require an alternative approach to developing their swimming focusing on timing, rhythm and feel for the water - areas of the stroke technique that traditional swim coaching would only introduce with advanced swimmers. Don't worry - we make this very easy to follow!